A wedding party in the northern Russian city of Murmansk ended with a horrific double murder. 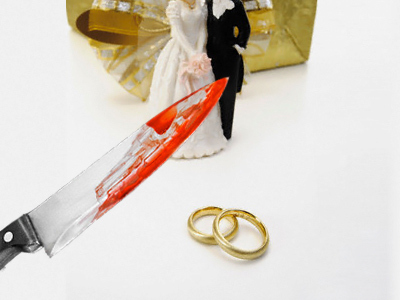 Two guests reportedly killed the bride and groom to rob them. The tragedy happened on Thursday night. Residents of an apartment block stumbled upon their neighbor. The woman was covered in blood, reports Novy Region news agency. As help was called, she said that it was her wedding day, and during the reception guests attacked the couple. The woman was taken to hospital, but doctors failed to save her. Her husband’s body was found by police in their apartment, with numerous wounds believed to have been inflicted by a meat cleaver. Investigators were quick to detain the suspected killers – a married couple. The wedding guests reportedly admitted the killings, initially saying they had quarreled with the newlyweds. However, they later changed their statements, saying they decided to rob their hosts for their wedding rings.